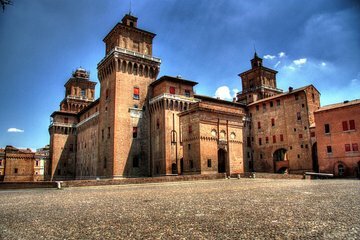 Discover Ferrara by bike on a 3-hour tour led by a knowledgeable guide who shows you the UNESCO World Heritage-listed city’s highlights. Bike along Viale Cavour to important sites including the Castello Estense, Palazzo dei Diamanti and the Duomo (Ferrara Cathedral). Wheel down well-marked bike paths that run along the ancient city walls and stop to take in the majestic Piazza Trento Trieste. Learn about the urban planners of the Renaissance who created the Addizione Erculea, and more on this fun and informative bike tour.